Samsung has this week unveiled a new addition to its range at the Mobile World Congress (MWC) exhibition, in the form of the Samsung HomeSync Android TV box, which is powered by a 1.7GHz Dual Core processor, bringing Android gaming, movies, TV shows and streaming content direct to your HDTV. 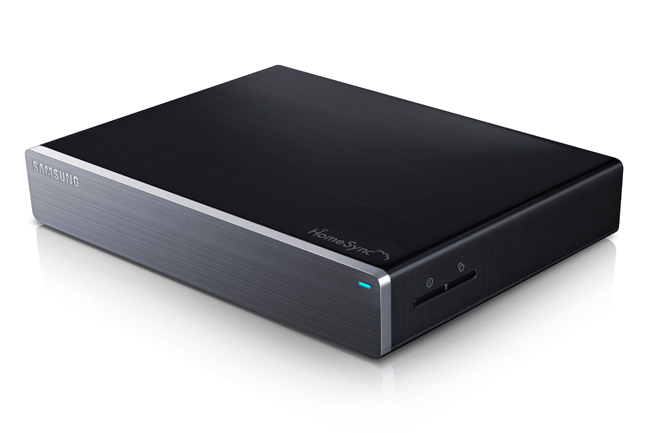 The Samsung HomeSync devices is also fitted with 1TB of storage supported by 1GB DDR3 of RAM, and is equipped with a Gigabit Ethernet port, and microUSB and USB 3.0 connections. Unfortunately no information on pricing or worldwide availability has been released as yet, but as soon as information comes to light we will keep you updated as always, but more information about the Samsung HomeSync Android TV box is available via the Samsung press release.